I have the privilege of volunteering a couple of times a week at a horse sanctuary where the horses become the therapists. I don’t do any therapy work myself there, it wasn’t the reason I joined, my time at the farm is mostly spent clearing poop, feeding, grooming, cleaning tack, with the occasional ride and trip in a carriage, but this week one of my volunteering afternoons coincided with a group working with the horses, so I joined as an observer which was most interesting. Most of the twenty five or so horses at the centre (mostly rescue horses) are part of the main herd and interact in a very natural way with each other. The group of humans who were visiting for a therapy programme were invited to choose one of the horses to work with and mentally ask that horse if he/she was willing to work with them. This can be done at a distance, the clients don’t have to go up to the horse. Then each client is given a cone that represents their blockage or and issue that they would like some direction for and is asked to place the cone somewhere within the arena where the herd is loitering. The clients stay in the arena with the horses and invited to observe their horse and their cone. At this stage, I didn’t know anything about the clients, the questions they had asked or their blockage or which horse they had personally chosen, but it was very interesting observing the interactions that took place. Some of the clients put their cone down and stood with it, unwilling or unable to walk away from it, others put their cone some distance off or in an area where there were a number of other cones. Some of the horses approached the humans, some walked straight up to the human that had chosen them, others walked away. The horses’ interaction with the cones was also interesting, some ignored them, but others played with the cones or licked them, several horses were giving a lot of attention to one particular cone. One lady I observed placed her cone directly in front of her and stayed with it, her horse however walked in her direction then turned away and stood motionless with his bum towards her and her cone, she however was steadfast in sticking with her cone. Another lady place her cone on the ground and it was immediately mobbed by three young horses who played with it together, however, her horse walked directly away from it and isolated itself at the other end of the arena. Someone else who had initially experienced some resistance in working with the horses had a very profound experience, as she walked to the other side of the arena, her chosen horse followed her and stayed with her, would not leave her alone and there was constant interaction between her, her horse and the cone. At the end of the session the clients regrouped around a coffee/tea to share their experiences what their cone had represented, what they observed and how they interpreted it. It a fascinating insight into how they were working through the blockage or issue they had brought to the session but the most interesting observation was that they all had personal breakthroughs that afternoon. The horse therapy centre I volunteer at is called Dreams of Horses Farm and it’s in Gozo where I have lived for over two years. I didn’t understand about the horse therapy when I first decided to volunteer, my motivation was to reconnect with the happy times of my childhood by spending time working on a farm and with horses (in addition to giving me an excuse and commitment to get away from work and do something worthwhile) but I can see the parallels with the therapy we do at Old Town Hypnotherapy and the therapy with the horses so I have chosen Dreams of Horses Farm as the charity for Old Town Hypnotherapy to support. We now sponsor ‘Star’ who is a two year old Lipozaqna horse that was one of five rescued from Hungary earlier this year. If you are interested in coming over to Gozo for a week of welling and therapy, reply to this email and I can let you know the next dates and program. 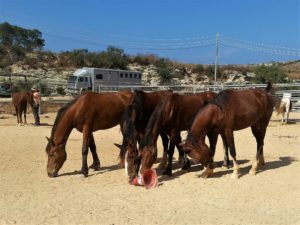 Dreams of Horses Farm does desperately need funds so that they can continue the therapy work with humans and care for the horses, most of which have been rescued. They also work with children and adults with learning difficulties, emotional challenges and mental health problems and it is the most amazing, inspiring, friendly and relaxed place you can visit on the island. 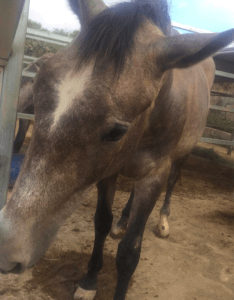 If you can help with a donation or even sponsor a horse as we do at Old Town Hypnotherapy, click this link for their website .